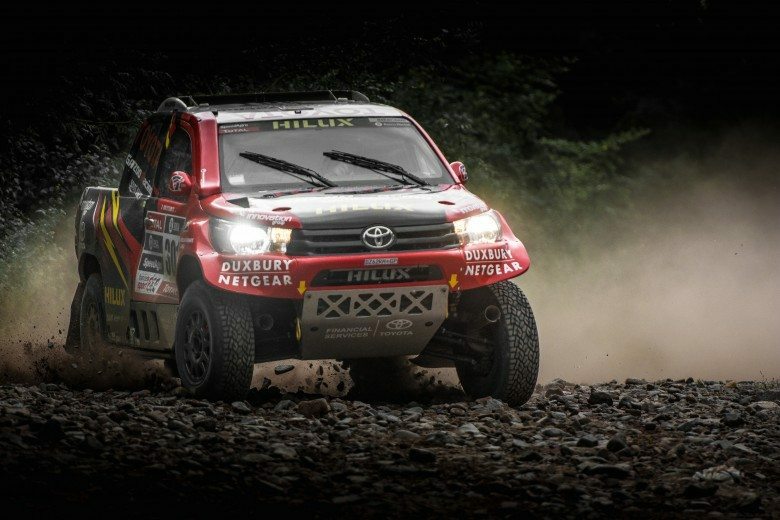 Stage 2 of the Rally of Morocco saw crews traverse 211 km of rough terrain, including a short dune crossing. 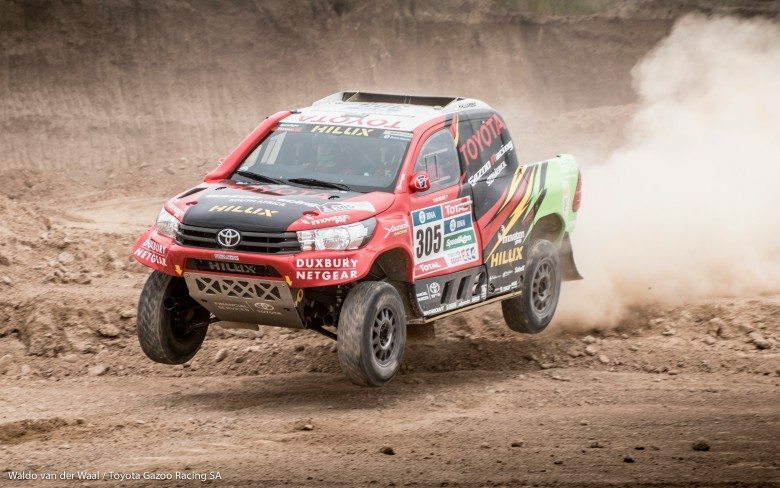 As with yesterday’s opening stage, Toyota Imperial Hilux driver Giniel de Villiers ended second, just 1:22 behind the stage winner. But while the opening stage was won by Orlando Terranova of Argentina (MINI All4Racing), it was Qatar’s Nasser Al-Attyah (MINI X-Raid) who triumphed today. 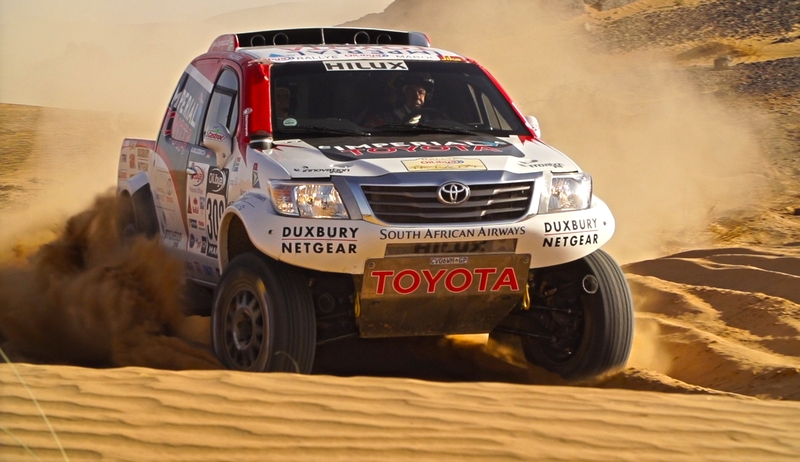 De Villiers, with German navigator Dirk von Zitzewitz reading the notes, posted a time of 02:25:53 – just 1:22 behind Al-Attyah. More importantly it was 2:19 faster than the time posted by Terranova, who ended the stage in 4th position. This performance sees De Villiers / Von Zitzewitz maintain their second position overall, with the gap to Al-Attyah, who now leads, just 39 seconds. This left De Villiers and Von Zitzewitz to pick their own way through the dunes, which they did without mishap, arriving at the bivouac first today, despite losing time to Al-Attiyah. 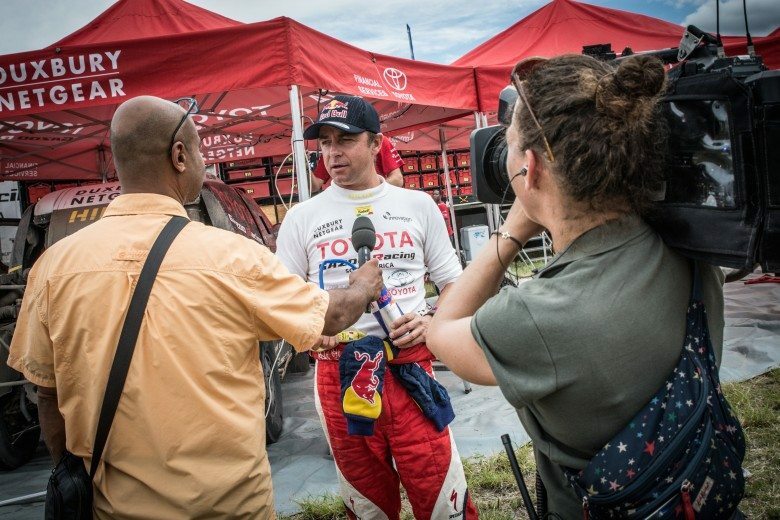 In the overall standings it is Al-Attiyah who now sets the pace, with De Villiers / Von Zitzewitz in second. Stage 1 winner, Terranova, has slipped down into third place, with Erik van Loon of the Netherlands (MINI X-Raid) in 4th. 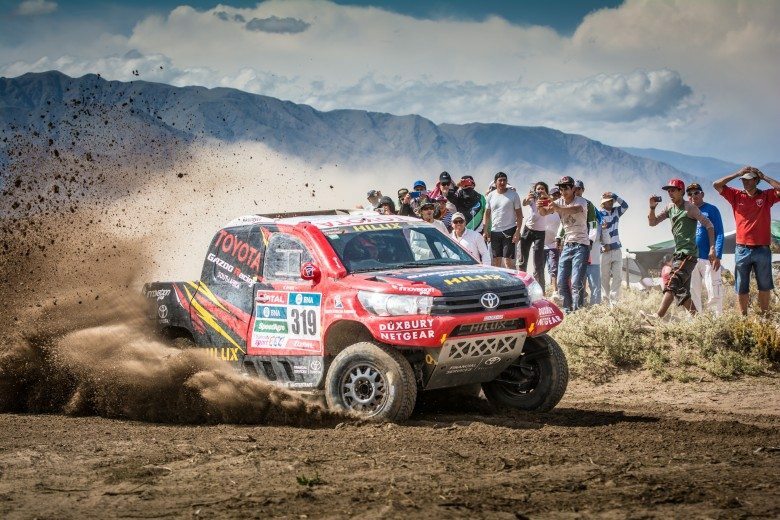 Bernhard ten Brinke, also of the Netherlands, rounds out the Top 5 in his Overdrive Racing Toyota Hilux. Tomorrow’s stage starts in the town of Erfoud for the final time, and sees crews heading towards Zagora, in the Southwest of the country. 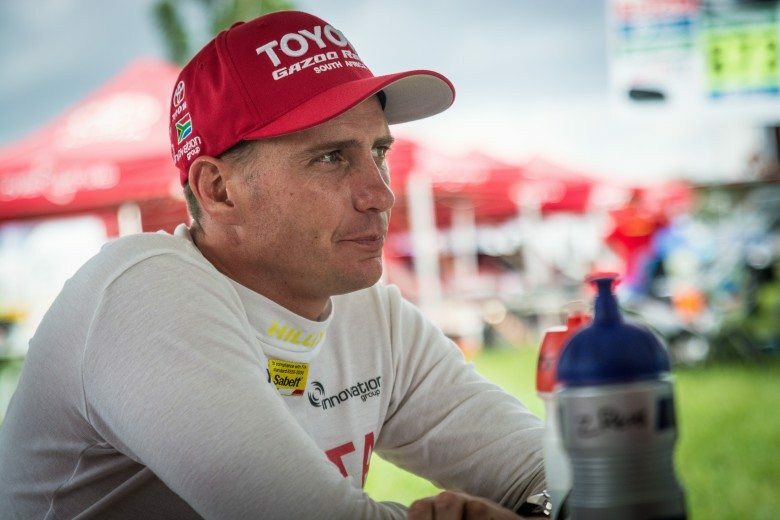 At 314 km stage 3 is also the longest of the event, and promises to be a turning point for many of the crews. 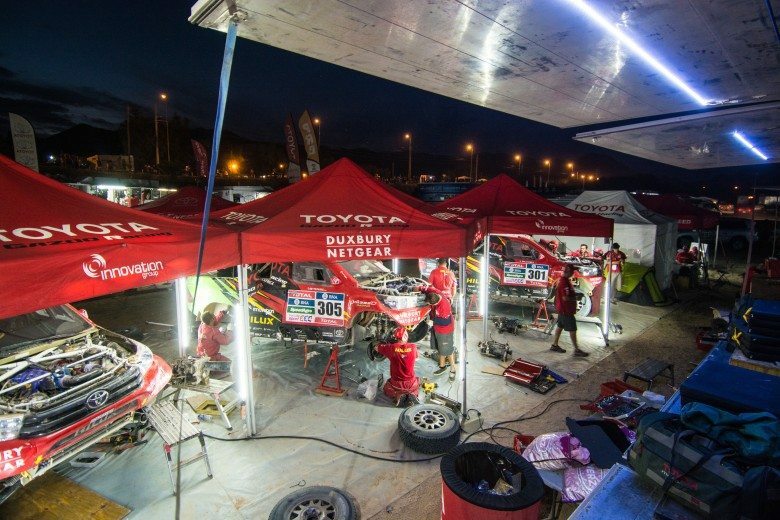 The Rally of Morocco finishes on Thursday October 9th, with a finale in Marrakech.